Wed., April 5, 2017, 9:43 a.m. 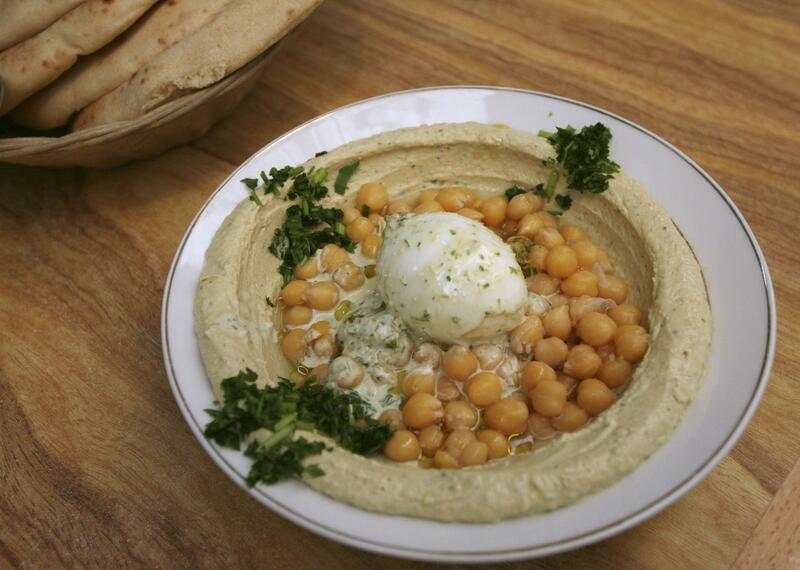 The hummus craze is hitting the heartland, with U.S. farmers preparing to sow more chickpeas than ever before. Plantings are expected to climb 53 percent from the prior season to 498,000 acres, the U.S. Department of Agriculture estimates. While the amount is minuscule compared with major row crops – corn will be planted on 180 times the area – chickpea acreage has more than doubled since 2013, and this year’s percentage increase in planting was among the largest of the commodities surveyed. Chickpeas are part of a group of crops known as pulses – high-protein, low-fat dried seeds in the legume family. American consumption for the plants has been boosted by growing demand for gluten-free products and a trend toward “more healthful and varied snacking,” the USDA said in a February report. Farmers have also been growing more peas and lentils in recent years amid rising exports. Chickpeas, also known as garbanzo beans, are a key ingredient in hummus and falafel and are also seen atop salads, ground into flour or packaged as a flavored snack. While the U.S. produced its biggest-ever crop last year, Canadian growers suffered some losses amid late-season rains. The troubles up north helped U.S. exports to more than double in the seven months through January from the same time last year, led by demand from Spain. In the U.S., pulse crops are mainly grown in the northern states, and plantings are climbing partially amid a plunge in wheat acres, as farmers seek more profitable options. As of March 28, farmers in Washington and Idaho were receiving 36 to 37 cents a pound for chickpeas, up as much as 23 percent from a year earlier and among the highest values for the month since 2013. Prices in North Dakota and Montana reached as high as 47 cents in mid-March. “Lentil prices and chickpea prices are both really strong relative to historic terms and other crops,” said Joseph Janzen, an assistant professor at Montana State University in Bozeman. However, chickpeas can be difficult to grow, as they’re susceptible to some crop diseases, he said. Chickpea seeding is also expected to rise in Canada this season amid declining stockpiles and “the potential for good returns,” Canada’s agriculture agency said in a March 17 report. Companies have been trying to capitalize on new ways to sell pulses in recent years. Canadian researchers are working on developing dough from pea flour to produce bread that tastes like wheat varieties. New Jersey-based Campbell Soup is launching a Bolthouse Farms line of alternative milks made with pea protein, according to a Feb. 22 presentation, and General Mills uses pea protein in some of its Larabar snack bars. U.S. acreage of lentils is also forecast at a record this season, rising 13 percent to 1.1 million acres. Last week, India — the world’s largest market — extended by three months a waiver that exempts countries including Canada and the U.S. from having to fumigate pulses for pests before export, temporarily solving a dispute that had threatened to halt shipments. For chickpeas, consumer interest still hasn’t reached a peak. Technomic’s data shows that mentions of the plant on menus increased 3.8 percent in the fourth quarter of 2016 from a year earlier, while hummus gained 3.7 percent. Published: April 5, 2017, 9:43 a.m.